Congress president Rahul Gandhi may not contest from Amethi. Instead he is all set to try his luck in south India this time. According to sources, Rahul Gandhi has zeroed in on Bidar in Karnataka. 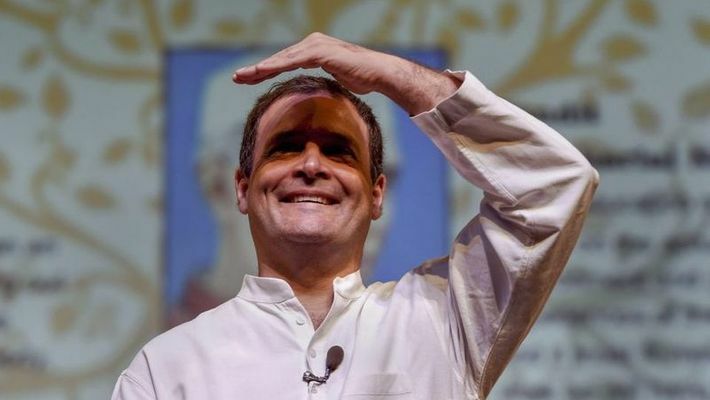 Bengaluru: After his sister Priyanka Gandhi’s entry into active politics by becoming the general secretary, Rahul Gandhi is apparently contemplating moving to south India to try his electoral luck this time in the Lok Sabha elections. If sources are to be believed, he will contest from Bidar in north Karnataka. Speaking exclusively to MyNation, Congress working president, Eshwar Khandre, said, "Rahul Gandhi will win for sure if he contests from here. We have been preparing the stage for him. The Lingayats, Marathas, Minorities, SC, ST and other sections will vote in favour of the Congress this time," said Khandre. Congress's decision to prepare the ground for Rahul Gandhi in Bidar has also sparked rumours about the party's failure in Amethi where Smriti Irani has gained. At present, Congress looks comfortable with five MLA seats out of eight in Bidar’s Lok Sabha constituency. The BJP has won Aland and Aurad Assembly segments and JD(S) leader Bandeppa Kashempur has won Bidar South. However, when it comes to Parliamentary elections, the BJP seems confident. Sitting MP Bhagwanth Khuba expressed confidence in decimating the Congress candidate. "The voters have favoured the BJP. Even if Rahul Gandhi contests from here, he will lose," said Khuba. In the 2014 election, BJP candidate won by securing 4,59,260 votes. Congress candidate and former chief minister N Dharam Singh lost. He secured 3,67,068 votes and Bandeppa Kashempur stood third with 58,728 votes. This time, there are 17.10 lakh voters, who will decide on the fate of the MP candidate in May. According to reports, 4.50 lakh voters are from the Lingayat community, 2.50 lakh are Marathas, 1.75 lakhs are Muslims, about 3.5 lakh are from the ST community and 75,000 are Lambanis.